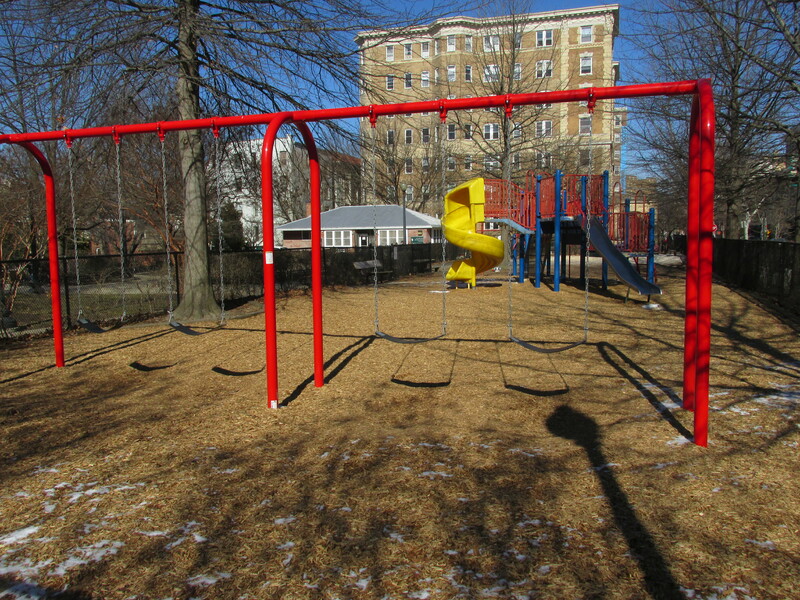 Checking Out Kalorama Playground Improvements | Park View, D.C.
(A view of the 5-12 year old playground with the recreation building in the background). I continue to be interested in the various playground improvements happening around D.C. We’ve made great progress with improvements at Park View Recreation Center over the past seven years and hopefully will continue to see move improvements there over the years to come. Due in part to the work still left undone at Park View, I like to compare it to other smaller playgrounds to see how it compares. Map of Kalorama playground showing playground area in tan. 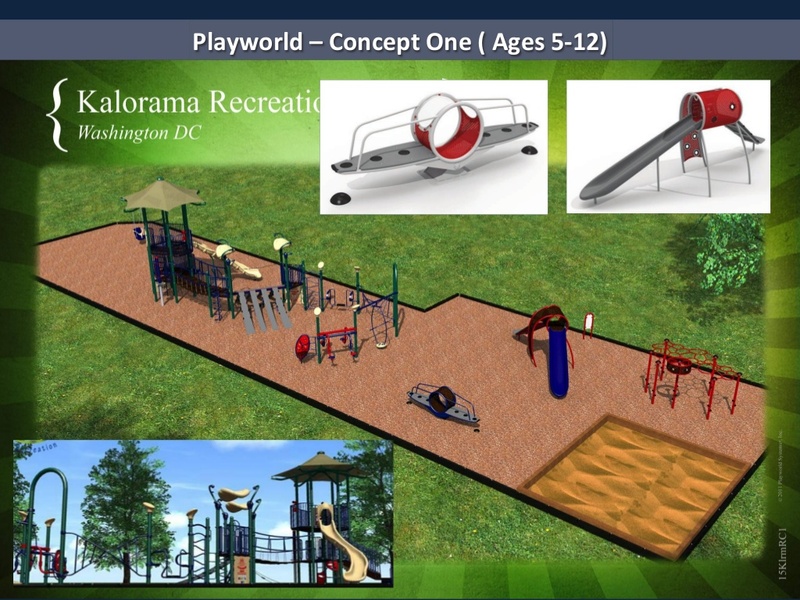 On January 27, 2015, I checked out the presentation for the playground improvements at the Kalorama Playground. Interestingly, Kalorama is about a 3 acre site compared to the 1.5 acres at Park View. With this in mind, I was immediately struck by how the larger Kalorama site has one primary building constructed between 1947 and 1949 that is larger that Park View’s original field house but much smaller than the primary recreation building at Park View. 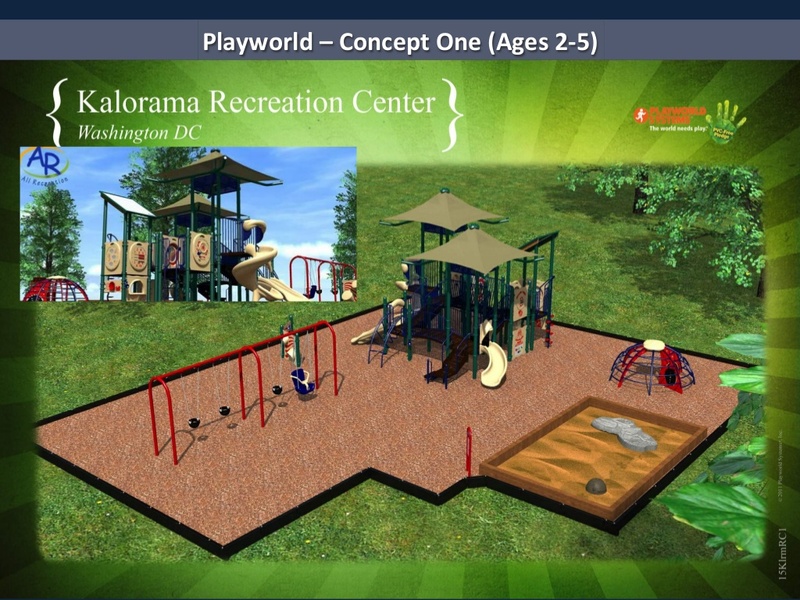 With the emphasis at Kalorama on outdoor playground use rather than interior recreation center use, I again question if the smaller Park View site is overbuilt. I definitely believe that the buildings are not efficiently configured creating a lot of wasted space between them. 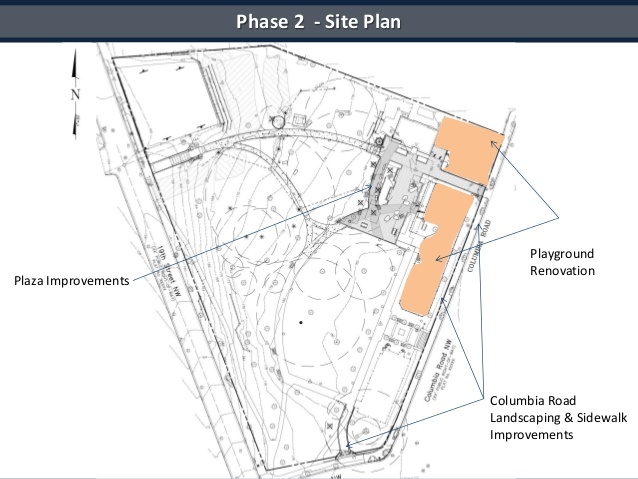 The focus of the January presentation was on the playground areas near the recreation building and along Columbia Road. 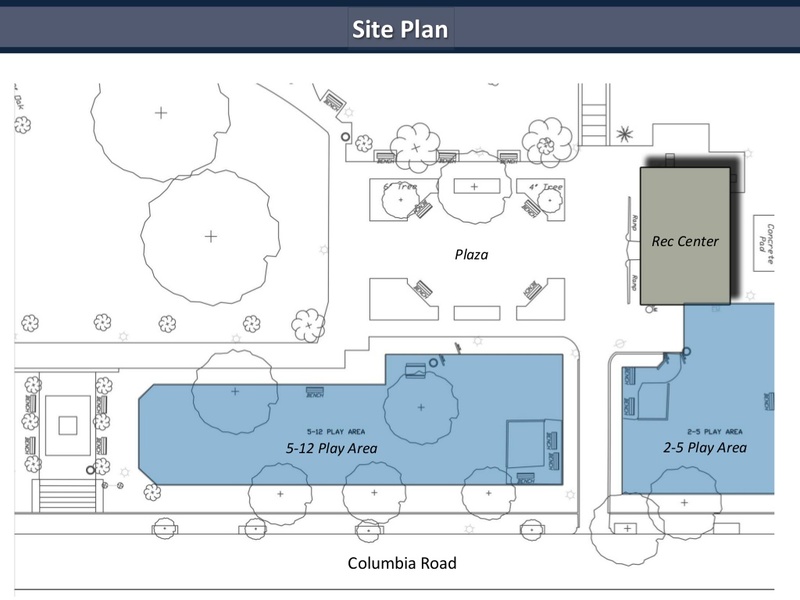 As with the renovations that occurred at Park View, the team working on the upgrades to the playground area presented several options for community members to get feedback on what neighbors would like to see in the areas. Below are a few images from the slide deck to give an idea of what is being considered, although it is too early in the process to know what the final plan will look like. The full slide deck should be reviewed for other design ideas. This entry was posted on February 5, 2015 at 7:01 am and is filed under Parks and Green spaces, Restoration repair and maintenance, Sports leisure and entertainment. You can subscribe via RSS 2.0 feed to this post's comments. Wonderful! You know what else could use an update, the playground on the north side of Grant Circle. It’s really outdated and needs some attention. Do I see a sand box? That’s crazy talk. Every “alley cat” for miles around will gleefully make use of that thing. I know from childhood experience.